Wholesale Trader of a wide range of products which include outdoor circuit breakers, package substations (pss) and high voltage surge arresters. 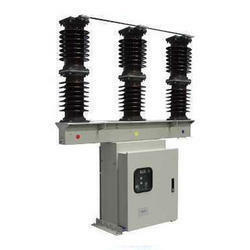 These circuit Breakers are designed as porcelain clad vacuum for outdoor applications for switching & protection in medium voltage transmission and distribution networks. Rated Short Ckt braking current – 13.1/25 kA, 26.3kA. In order to cater the specific requirements of our patrons, we offer them a qualitative range of Package Substations(PSS). These products are manufactured by using finest quality raw material and upgraded technology under the guidance of our skilled and trained professionals. 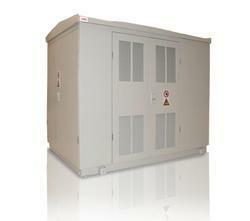 The offered switchgear is highly demanded in the market for their longer functional life. 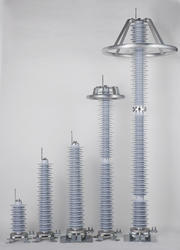 High Voltage Surge Arresters are used to protect power system installations and equipment against voltage surges caused by lightning, switching operations and abnormal service conditions. Generally arresters are connected in parallel with the equipment to be protected, typically between phase and ground.